Pioneers in the industry, we offer connector strips for electrical industry from India. With enormous experience in this domain, we have established ourselves as the most reliable manufacturer, trader and supplier of Connector Strips for Electrical Industry. These connector strips are developed by our experts using quality bakelite moulding powder, P.V.C plastic moulding powder and D.M.C as per the market standards. 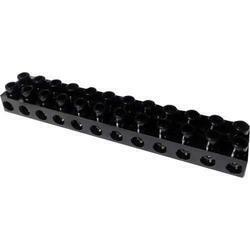 The offered connector strips are used for serving the effective functioning in diverse machines as well as instruments. We provide these connector strips in diverse packaging at industry leading prices. Looking for Connector Strips for Electrical Industry ?